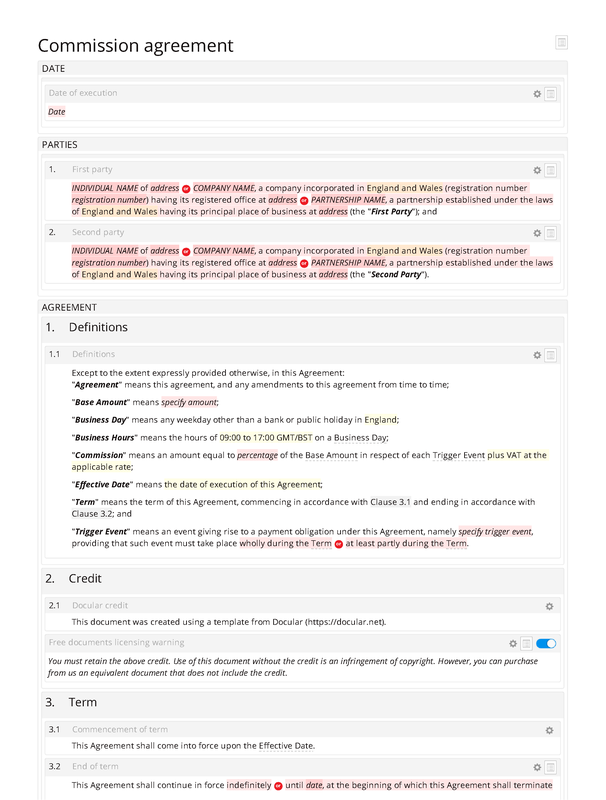 This version of our commission agreement is available free-of-charge, providing you retain the textual credit/attribution included with the document. 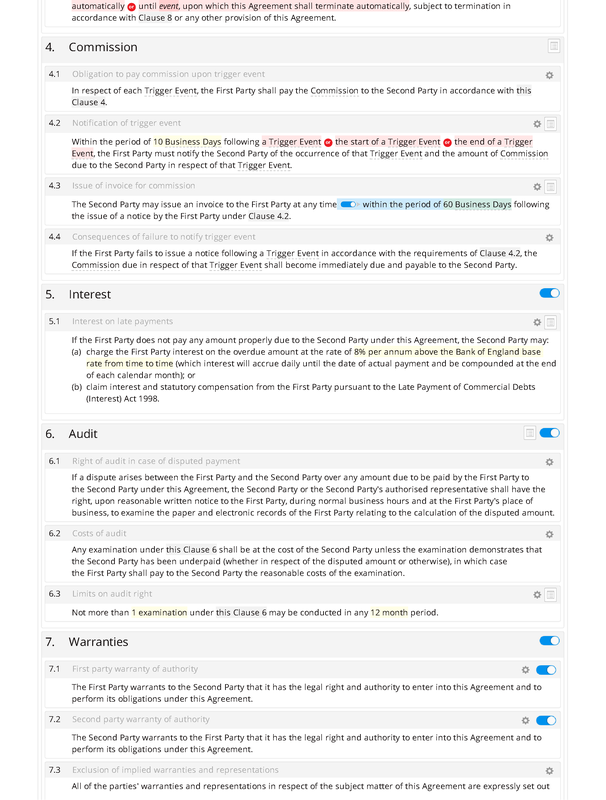 Under this commission agreement, one party agrees to pay commission to the other party. 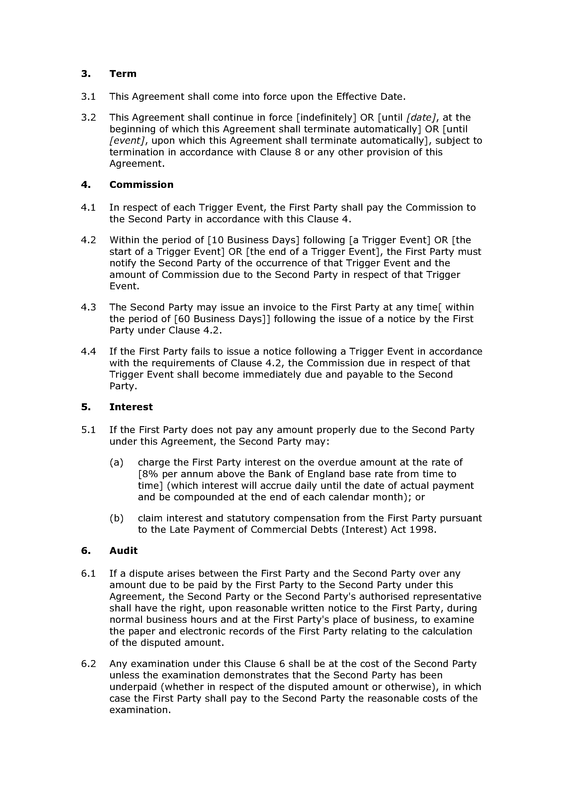 That commission is payable in respect of each "trigger event" which occurs during the term of the agreement (or during some other defined period). A "base amount" is associated with each trigger event, and the amount of the commission is calculated by applying a defined percentage to that base amount. 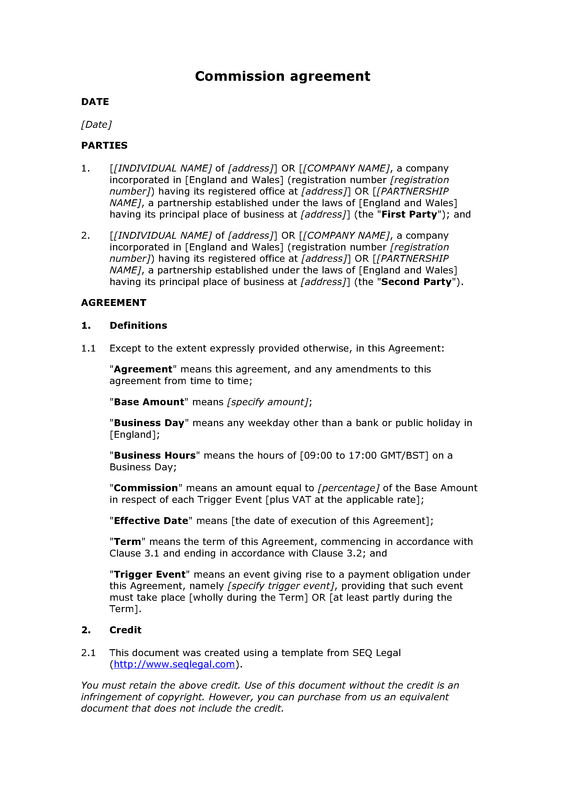 Commission: obligation to pay commission upon trigger event; notification of trigger event; issue of invoice for commission; consequences of failure to notify trigger event. Interest: interest on late payments. Audit: right of audit in case of disputed payment; costs of audit; limits on audit right.